“Show, don’t tell” is one of the most oft-repeated pieces of advice writers receive. But what exactly does that mean? And when is it better to tell than show? Last week during Open Mic Monday, Lady Glamis asked, Can you think of instances where it is appropriate to “tell” instead of “show”? Yes, we can, and I’ll share some of them toward the end of this post, but since a lot of writers struggle with showing vs. telling, first I want to tackle how to show rather than tell. When you give someone the Rorschach inkblot test, you go through 12 cards with ambiguous inkblots — twice. The first time, you ask the person to tell youwhat she sees. The second time, you ask her to show you how she sees it, so you can see it just the way she does. 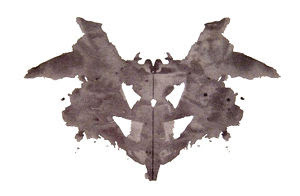 Was it the texture of the inkblot that made her see what she did? The shading? The color? The shape? When you show your readers what’s happening, you’re doing the same thing — helping them see your story just the way you do. And your goal is not to show them a grainy youtube clip that gives them vague impressions — you want to show them your story in big-screen high-def, complete with a killer 7.1 speaker sound system, tastes, and smells. You want them to be there. Tip 1: Be a connoisseur. For me, showing is a sensual experience. I close my eyes and imagine what I would smell, hear, taste, see, and feel in my characters’ situation. Then I do my best to capture the most important of those impressions as vividly — and uniquely — as possible. I want the scene to have immediacy for my reader. When writers tell, they are usually looking at the scene but not listening or touching or smelling or tasting. They’re not slowing down long enough to capture the most outstanding details or pick the most exciting verb. Here’s a lifeless telling sentence: The bad guys suddenly shot out the tires on the good guys’ SUV. Time to stop and ask questions about all five senses, using the most descriptive verbs you can find. * What do your characters see? Does the SUV spin out of control, making the scenery whirl by as if the good guys were on a carousel? If your character is a racecar driver who’s lost control of a speeding car on multiple occasions, his impressions are going to be different from those of someone who just learned to drive. * What do your characters feel? Does the SUV jolt to a halt? Does the SUV drop closer to the ground? Does the SUV slam into a curb? Do the airbags marshmallow out of the dash, crushing your characters into their seats? * What do your characters smell and taste? Can they smell rubber burning as it’s dragged across the asphalt? Can they taste their own fear? What does that taste like? * What do your characters hear? Having blown a tire, I can tell you that the explosion of one bursting is as loud and startling as gunfire. But what else do your characters hear? Other cars screeching to a halt around them? If this all seems like a lot of work for one sentence, it is, but as you get used to asking questions like this, you’ll start to do it automatically, and the showing will come quicker and easier. Here is how I rewrote the line for my story. Note two things. First, that there are almost no adjectives — both sentences are carried by strong verbs. Second, I didn’t go on and on about all the different details. This is happening fast, so I have to emphasize only the sensory information that is most important. More gunfire, and both of the front tires burst, dropping the SUV onto its axle. Metal screamed against asphalt, and a shower of sparks hissed past my open door. Tip 2: Use active verbs, not adjectives and adverbs. Adjectives and adverbs tell; verbs show. Strong verbs make your writing vivid and real. Adjectives and adverbs don’t move the action forward. Nothing is happening with an adjective or adverb; it just sits there on the page and tries to look pretty. For example, if I tell you about an escalator that is tall and silver but standing still, there is absolutely no movement in the sentence. If, on the other hand, I tell you the escalator looms over my character,mocking her with its steely teeth, you have a whole different feel for the escalator. It’s doingthings. Scary things. It’s not very interesting if I tell you that Raven was a clutz. You have to make up the details for yourself. That’s not the case if I add a more information so you can see the scene for yourself: The bell rang, startling Raven, and she bumped her textbook and sent a sheaf of papers tumbling to the floor. She had to wait until her classmates had clambered over her to clean up the mess. Her face hot, she stuffed the pages into her bag, jammed her pen into her purse, and stood so fast she nearly knocked over the man who stood there. Tip 3: Pick something unique to emphasize about your main characters. This is going to sound harsh, but nobody cares if your main character has dark hair and hazel eyes. So do millions of other people. You need to pick one or two extraordinary characteristics and emphasize them well enough that your readers could pick your character out of a lineup. Over time, personality becomes etched into the lines of the face and body, so try to emphasize a physical characteristic that reveals character. Maybe your heroine hunches her shoulders as if she’s fighting a strong wind; maybe her black hair is braided so tight it looks like a licorice stick. I find that when I exaggerate a characteristic, that can help. So rather than just saying your character has flowing black hair, you say her black hair gushes over her shoulders and eddies into the small of her back. Example: The angular planes of his face turned the soft light into a study in contrasts, and in that context, what might have been a sensual mouth merely looked hard. His cheekbones were high, angry slashes, a sentiment echoed by the frown between his brows. He sprawled against the far wall, the exposed flesh of his chest bronzed and glistening in the heat. A gold piece lay at the end of the chain around his neck. Had she been forced to describe him without using licentious language, she would have said that the lines of his face were aristocratic. In the uneven light, his eyes appeared black, but their intensity, not their color, was what fascinated her. In spite of the magic of showing, sometimes it’s better to tell. Here are a few of those times. * When you’re summarizing something that happened during a transition. Let’s say your character had a fight with her boyfriend before she left for work in the morning, and you want to convey that she has an okay rest of the day. You can write something like, “She made it through class and the rest of the afternoon without incident” and let it go at that. * When you’re talking about a minor character who isn’t important to the story. 1. Every single sentence and word furthers the story. It moves us forward. It shows us something crucial. This is why it’s important to just choose a few details, not overload the reader with every. single. one. 2. You have used vivid verbs, not just-sitting-there adjectives, to show your readers what is happening. 3. You have closed your eyes and thought about the sights, sounds, smells, tastes, and touches in each scene. That you have shown your reader enough of that sensory information that they are experiencing the scene the same way you are. >Okay, guys, this is just a quick post. Here’s a few sentences that I want you to are telling. In the comments section correct them for me. Tomorrow, I’ll have a full post on show vs tell and I’ll answer the questions so you can check to see if you were right. * It was a beautiful day. * He was stressed out. * Her bedroom was girly. * His car was a mess. * It was a dark and stormy night. >Going back to MIRROR IMAGE for this week’s Teaser Tuesday. This scene takes place as Lily realizes she’s not in love with Tyler and that she’s starting to have feelings for Jackson. “Tell me a secret?” Jackson asked. He laughed as I tucked it back into the drawer and sat again. “That’s very interesting,” he said. “Give me another,” he said, sending me one of his heart stopping smiles. “Neither do I,” he gasped. We were both laughing so hard we couldn’t catch our breath or finish our list. Every time we’d stop, we’d look at each other and it would start all over again. “How about what do you secretly want to be? Every one has one.” He grinned at me. After a few bars, I found myself bobbing my head along with it. “Yeah, okay. I’ll agree with you. I think he’s better than a lot of the ones we have here,” I said when he turned it back off. My smile grew bigger. My mom made me warm milk too when I couldn’t sleep and it always worked. She reminded me of my mom, especially when she walked over and ruffled his hair. My mom always did that with Alder, but unlike Alder, Jackson only grinned up at her instead of batting her away. She glanced over at the mirror, and her eyes narrowed and she shot a look over at Jackson, but said nothing as she walked out the door. “Does your mom know about me?” I asked, ignoring his question. I drew my eyebrows together. “I guess not,” I mumbled. He grinned. “I hope so.” He turned to walk to his bed. His expression changed as the mirror glowed brighter and the feeling of his hand grew more intense. Our eyes met and I saw his widen as we rushed to touch the mirror, but it was just as sturdy as always. “Yeah, me too,” he agreed. “Go,” I whispered, secretly wishing he’d stay. I closed my eyes and backed away. “I’ll be waiting.” He didn’t say anything else and I opened my eyes to see the mirror bouncing my image back to me. Just wanted to share an article I found by Crawford Killian during my research that does an excellent job of explaining narrative voice, and what exactly the difference is between the different POVs. The author’s persona of a fictional narrative can help or hinder the success of the story. Which persona you adopt depends on what kind of story you are trying to tell, and what kind of emotional atmosphere works best for the story. The persona develops from the personality and attitude of the narrator, which are expressed by the narrator’s choice of words and incidents. These in turn depend on the point of view of the story. First-person point of view is usually subjective: we learn the narrator’s thoughts, feelings, and reactions to events. In first-person objective, however, the narrator tells us only what people said and did, without comment. If the point of view is third-person limited, persona again depends on the single character through whose eyes we witness the story. You may go inside the character’s mind and tell us how that character thinks and feels, or you may describe outside events in terms the character would use. Readers like this point of view because they know whom to “invest” in or identify with. In third-person objective, we have no entry to anyone’s thoughts or feelings. The author simply describes, without emotion or editorializing, what the characters say and do. The author’s persona here is almost non-existent. Readers may be unsure whose fate they should care about, but it can be very powerful precisely because it invites the reader to supply the emotion that the persona does not. This is the persona of Icelandic sagas, which inspired not only Ernest Hemingway but a whole generation of “hard-boiled” writers. If the point of view is third-person omniscient, however, the author’s persona can develop in any of several directions. 2. “Occasional interruptor.” The author intervenes from time to time to supply necessary information, but otherwise stays in the background. The dialogue, thoughts and behavior of the characters supply all other information the reader needs. 3. “Editorial commentator.” The author’s persona has a distinct attitude toward the story’s characters and events, and frequently comments on them. The editorial commentator may be a character in the story, often with a name, but is usually at some distance from the main events; in some cases, we may even have an editorial commentator reporting the narrative of someone else about events involving still other people. The editorial commentator is not always reliable; he or she may lie to us, or misunderstand the true significance of events. 2. Mannerism. The author’s persona seems more important than the story itself, and the author keeps reminding us of his or her presence through stylistic flamboyance, quirks of diction, or outright editorializing about the characters and events of the story. Also a problem for the editorial commentator. However, if the point of view is first person, and the narrator is a person given to stylistic flamboyance, quirks of diction, and so on, then the problem disappears; the persona is simply that of a rather egotistical individual who likes to show off. 3. Frigidity. The persona’s excessive objectivity trivializes the events of the story, suggesting that the characters’ problems need not be taken seriously: a particular hazard for “hardboiled” fiction in the objective mode, whether first person or third person. Be careful to stay consistently in one verb tense unless your narrator is a person who might switch tenses: So I went to see my probation officer, and she tells me I can’t hang out with my old buddies no more. Some writers achieve a kind of immediacy through use of the present tense: I knock on the door. She pulls out her gun. We don’t feel anyone knows the outcome of events because they are occurring as we read, in “real time.” Some writers also enjoy the present tense because it seems “arty” or experimental. But most readers of genre fiction don’t enjoy the present tense, so editors are often reluctant to let their authors use it. I learned that the hard way by using present tense in my first novel, The Empire of Time; it was enough to keep the manuscript in editorial limbo for months, and the final offer to publish was contingent on changing to past tense. Guess how long I agonized over that artistic decision! Here’s just a really quick, really short Valentine’s Day Short story. Between a husband and his wife. Enjoy. 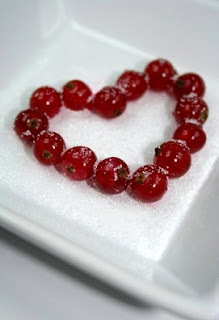 And I hope you all have a great day filled with sweets and sweethearts. Light, butterfly strokes on my cheek woke me from my dream; the colorful ribbons of it just slipping out of my grasp. A smile tugged the corners of my lips as his hands cupped my face between them. And his scent drifted to my nose as his lips brushed mine. It was a scent I’d known for years. The mattress groaned and dipped as he shifted, but before I could open my eyes, he said again, “No, not yet.” His fingers slid between mine, before grasping my hand and tugging me up so I was sitting upright. He caressed the back of my hand with his thumb and pressed another kiss to my cheek, before releasing my hand. The mattress protested as he stood, but before I could form the words of my own protest, the delicate tinkling of metal against metal replaced the groan and something heavy was placed on my thighs. The scent of fried bread and bacon filled the air. “Can I open my eyes yet?” I asked, my voice still husky from sleep. Something cool and sweet slid across my lips and I opened my mouth. The flavor of bittersweet chocolate and tangy strawberries filled my mouth seconds before his lips took mine again. His flavor mixed with the others and made me lightheaded as butterflies frantically flew around in my belly. His rough hands moved from my hips to my sides, and back again, sending tingles throughout my body. Then he pulled back and again I opened my mouth to protest, but he placed his finger over it. “Not yet,” he said again. His other hand trailed up my thigh, over my hip, and rested on my side as he pressed a kiss to my shoulder, then my neck just under my ear. His lips brushed the sides of my mouth, and then each eye before moving back down to the sensitive spot just below my other ear. My breath caught in my throat when he caressed along my collarbone and then up into my hair, entangling his fingers in its mass. He drew me to him and again locked his lips to mine. My heart rate accelerated and I couldn’t catch my breath. After a minute, he moved away and then wrapped my hands around something cool and smooth. The scent of roses drifted to my nose and I breathed deeply, enjoying the heady fragrance. “I love you, too,” I said as tears slipped over my cheeks.